Your grandmother might not recognize some of the ingredients in the preserves created by Waynesville’s Copper Pot & Wooden Spoon. Their Apple Pie Moonshine Jam, for example, is made, you may have guessed, with moonshine, and their Bourbon Blueberry Jam is made with single-barrel Kentucky bourbon. But the techniques used to create them are the same ones farm families have passed down for generations, says the company’s cofounder, Jessica DeMarco. Celebrating the tradition of canning while infusing it with unexpected culinary flair (and spirits) is at the heart of her business. Jessica got her start as a pastry chef after studying at Le Cordon Bleu culinary school in California. After moving to Haywood County where her parents had relocated, she and her husband, Mark, both held high-profile jobs in food and beverage—she at the Grove Park Inn and Biltmore Estate and Mark also at Biltmore, where he’s now executive chef at Cedric’s Tavern. But when their kids (now ages four, six, and nine) came along, it became apparent that those kinds of jobs weren’t compatible with parenthood. And while Jessica’s involvement in the food business didn’t end, it took a new direction. “I’ve always been interested in local food and self-sufficiency,” she says. Her grandparents farmed and “put up” produce, and this tradition was something she wanted to carry on along with her brother, Dan Stubee. 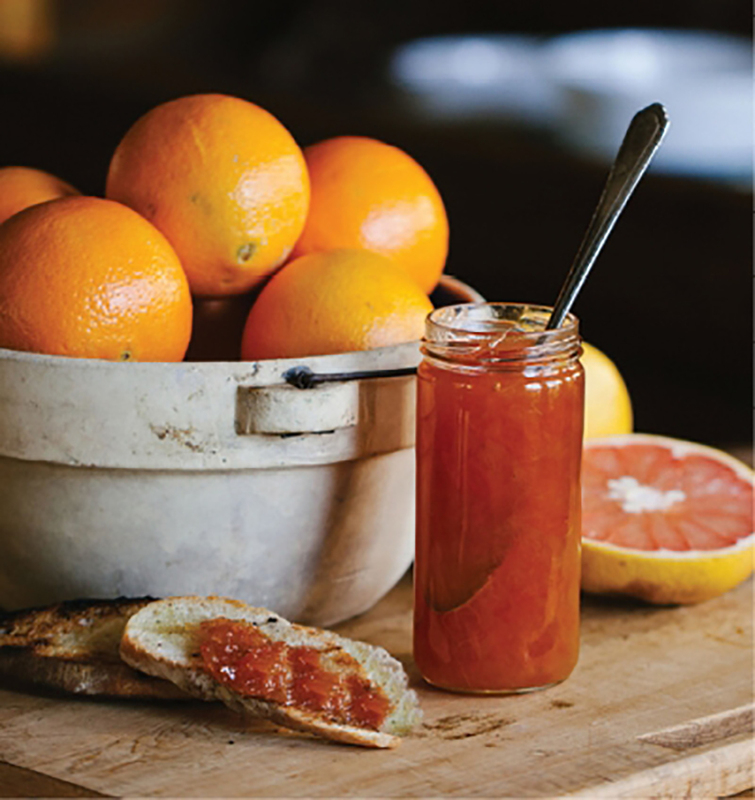 Experimenting with jams and jellies, they began as a farmers market business. The two explored what’s available locally and seasonally. “We start out in April with strawberries,” she says, and they continue with okra and beans in the summer and apples in the fall. One of their most unique offerings is pickled ramps, foraged throughout Western North Carolina during the few weeks each spring when they’re available. The company’s commitment to local sourcing extends to other businesses, too: The moonshine used in several recipes is from Asheville’s Troy and Sons, and the beer in the Spiced Apple and Beer Jam is from Waynesville’s Frog Level Brewing Co.